The South Oldham Fire District protects a suburban / rural area surrounding Crestwood KY. We cover approx 25 square miles, & a population of about 12,000. The fire district includes a downtown district, residential & commercial areas, as well as portions of Interstate 71 , & a CSX rail line. The department also protects five schools, as well as providing mutual aid to our neighboring fire districts. Our Fire Station is staffed, by career and volunteer firefighters, 24 hours a day, 7 days a week. If you are in the area, feel free to stop in. ​Our Board of Trustees Meet on the 4th Monday of each month at 7:30 & are open to the public. 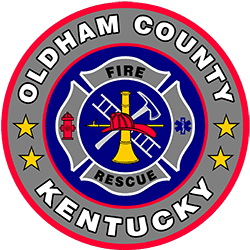 Oldham County Emergency Management is always ready and prepared to handle any emergency or disaster that may occur whether it is Severe Thunderstorms, Winter Storms, Flooding or any other catastrophic event. By signing up for a Smart 911 Account Oldham County Emergency Management will be able to notify you by phone about any emergency events in the area and provide you with helpful information. ​Click the banner to sign up. May 26th, 2019 @ 7 p.m.
South Oldham Fire Department conducts fire hydrant tests annually April thru November — to ensure the fire hydrants are operating properly and can be used in the event of a fire or other emergency that requires water. The fire hydrant flows also help to improve water quality by turning over water in low-usage water mains. The increased flow of water from the fire hydrants during testing occasionally causes the scouring of manganese that has built up on the lining of water mains. The scouring can result in discolored water at the customer’s tap. • The discolored water is bacteriologically safe but can stain clothing. • DO NOT WASH clothing in the discolored water. Check for discolored water in your washing machine before washing clothes during the designated fire hydrant testing times. If you are burning during the allowed dates please call Oldham County Dispatch at 502-222-0111 before you light your fire. They will ask you for some general information such as your name and address. Please make sure that your fire is attended at all times and that you are only burning natural growth. It's always a good idea to have a garden hose or other water source within reach of your fire. Once you extinguish your fire please call Oldham County Dispatch to let them know that your fire is out. South Oldham Fire Department has finished collecting donations for the 65th Annual WHAS Crusade for Children! 100% of each donation to the WHAS Crusade for Children helps children with special needs! This year South Oldham Fire Department Collected $56,474.19 (and counting) for the 65th Annual WHAS Crusade for Children! Stay tuned as our total is still climbing. SOFD wants to thank all of our volunteers for donating their time and a special thanks to our community for your generosity! We are proud to be one of the many Fire Departments that participates in the Crusade! Thank you for your support in helping the children of our community with special needs! 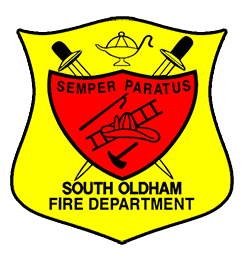 The South Oldham Fire Department is collecting old cell phones, printer cartridges for recycling. We are now accepting handheld gaming systems like the Nintendo DS, Gameboy and Playstation Portable. Items may be dropped off at the fire station, 6310 Old LaGrange Road, Crestwood; South Oldham Library, 6720 W. KY. 146, Crestwood; South Oldham Government Center, 6710 W. KY 146, Crestwood. Proceeds will benefit the WHAS Crusade for Children. For information call 241-8992.